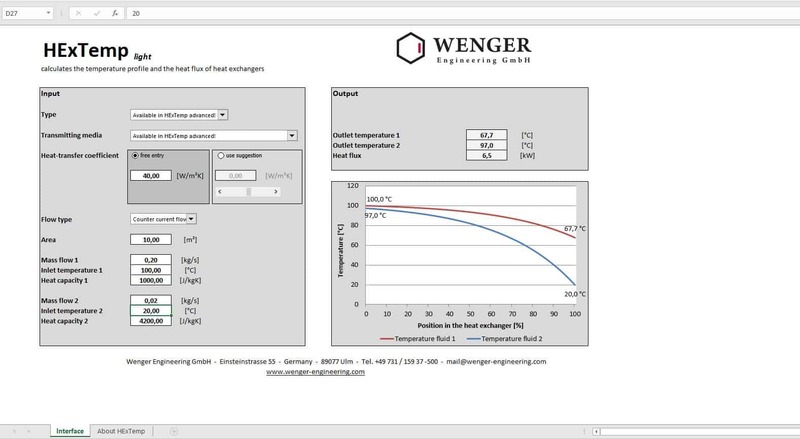 Are you an engineer and would like to use a calculation tool to interpret or recalculate heat exchangers? Get started within a few minutes! 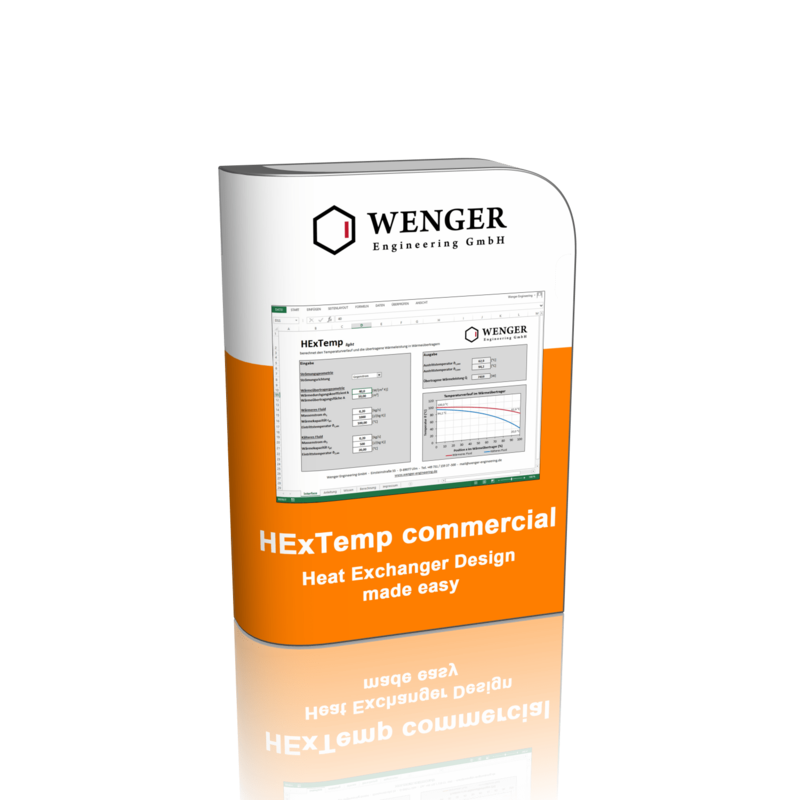 HExTemp light commercial calculates any heat exchanger within a few minutes. *You will get immediate access to the program via download. 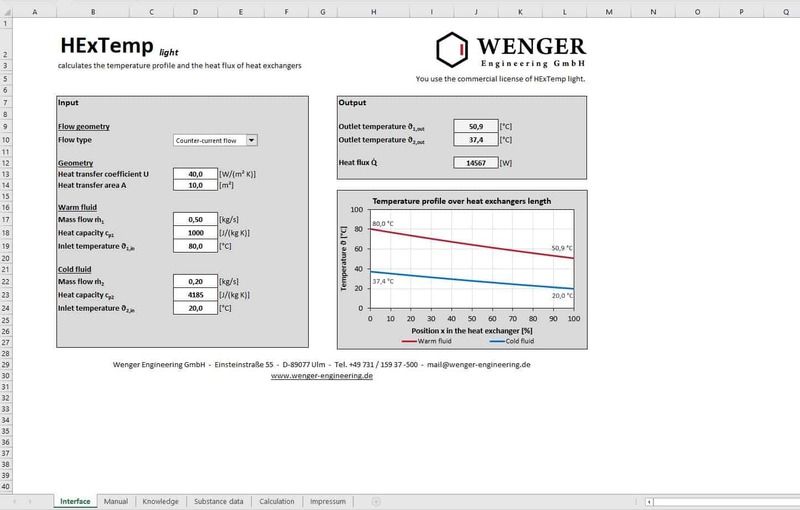 Please remember to read these important information concerning data protection before ordering: www.wenger-engineering.de/en/privacy-policy. 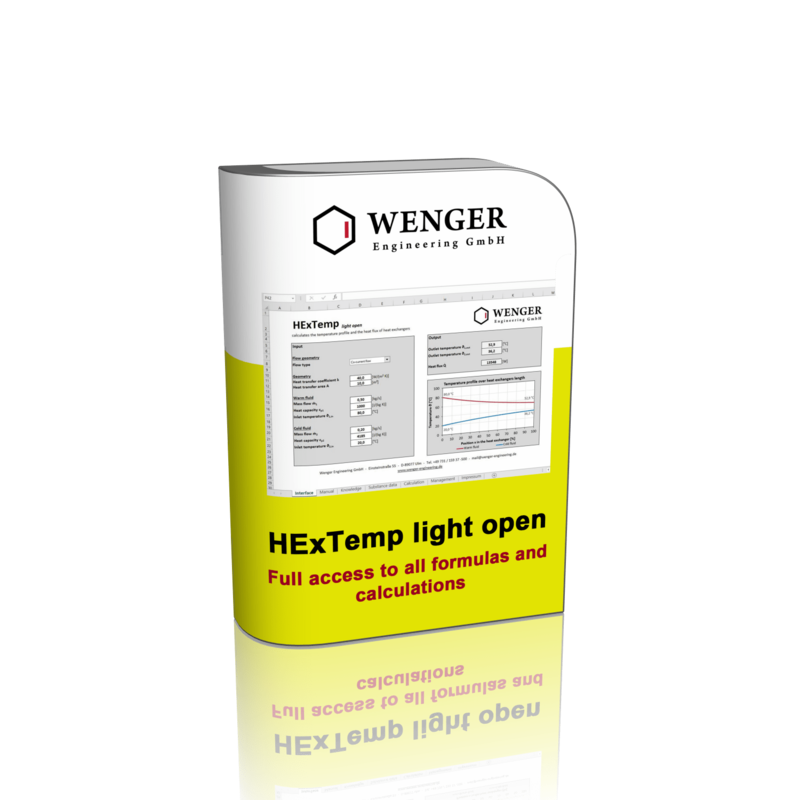 HExTemp light open calculates any heat exchanger within a few minutes. Additionally, you will be granted access to all formulas and can extend and amend the program as you wish. 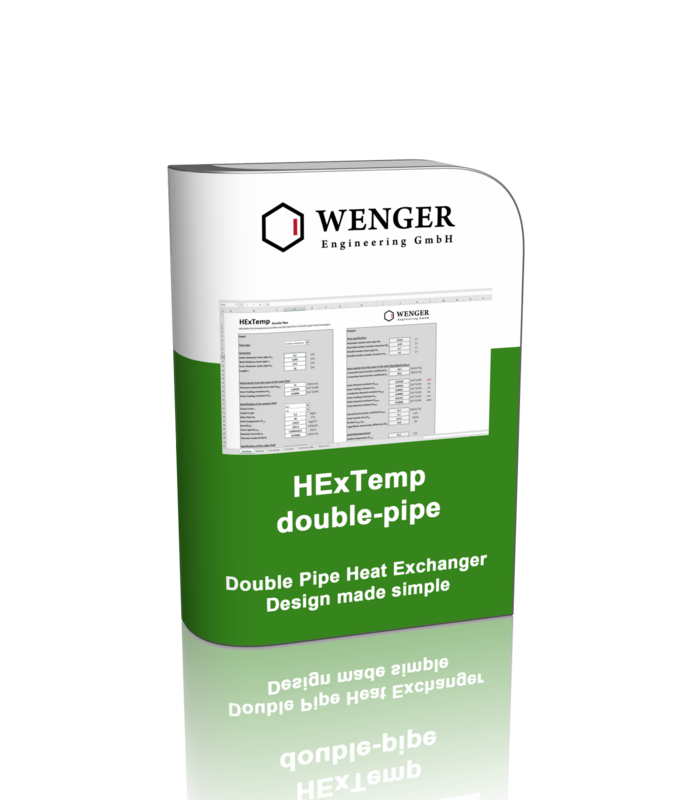 HExTemp double-pipe helps you to calculate the double pipe heat exchanger within a few minutes. 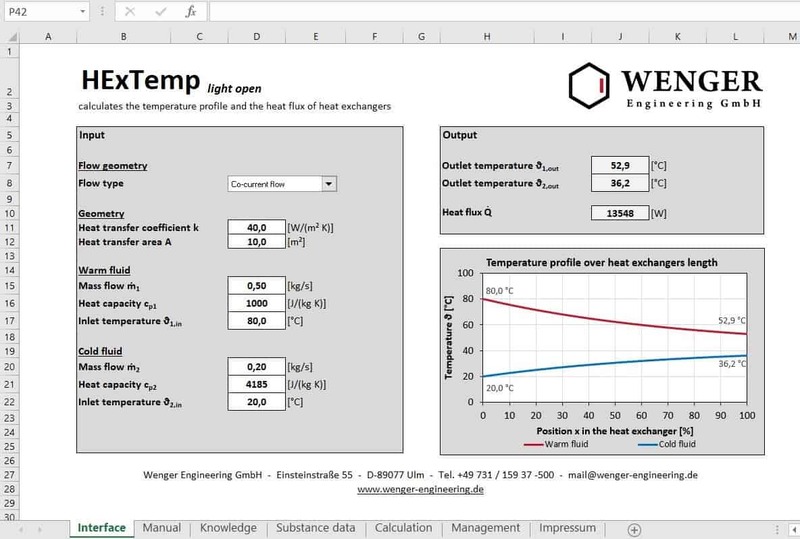 Calculates double pipe heat exchangers. 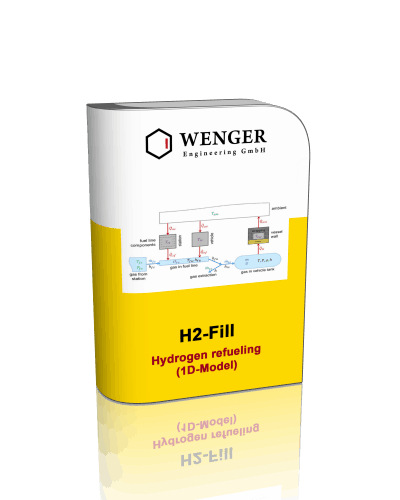 H2-Fill helps you to calculate the temperature during hydrogen refueling and to optimize your hydrogen refueling station. Graphic representation of pressure, temperature, mass flow, etc. 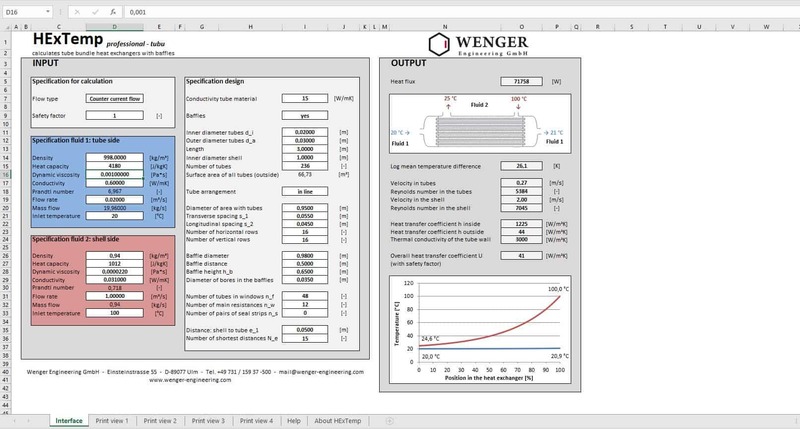 H2-Fill (Simulink Modell, open source) helps you to calculate the temperature during your hydrogen refueling and to optimize your hydrogen charging station. 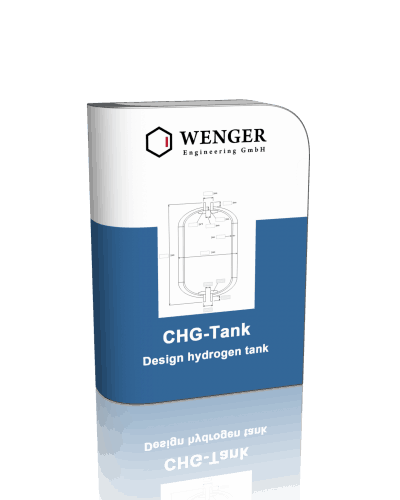 CHG-Tank helps you to predesign a Type III and Type IV hydrogen tank and therefore to handle the packaging- and H2-System-studies within a few minutes. 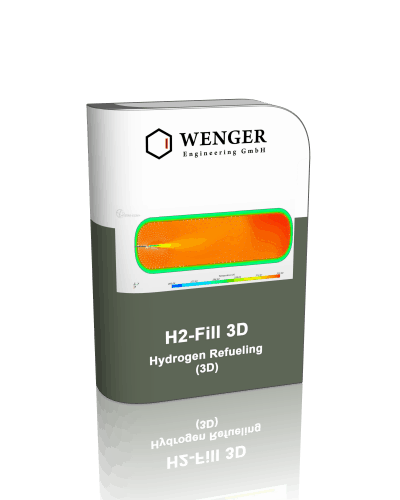 H2-Fill 3D helps you to calculate the temperature during hydrogen refueling and to optimize the inflow geometry as well as the refueling algorithm. 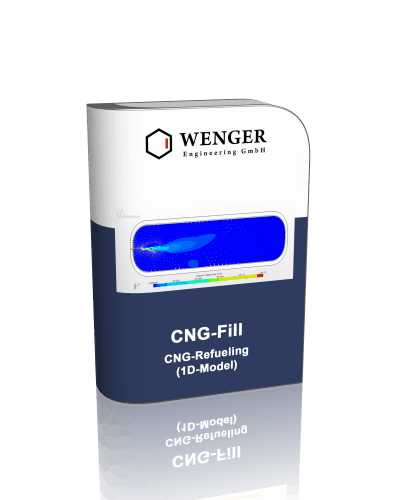 CNG-Fill helps you to calculate the temperature during CNG refueling and therefore helps you to optimize your CNG charging station. 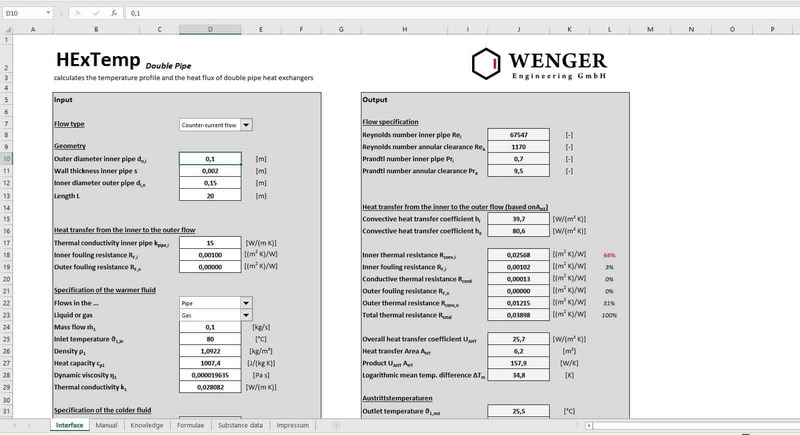 LNG-Fill helps you to calculate pressures and temperature within a LNG tank over time and therefore to deliver proper statements concerning the efficiency, safety, and usable amount of gas. 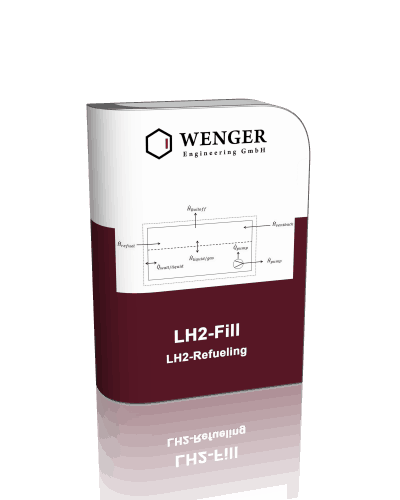 LH2-Fill helps you to calculate pressures and temperature within a liquid hydrogen tank over time and therefore to deliver proper statements concerning the efficiency, safety, and usable amount of gas. 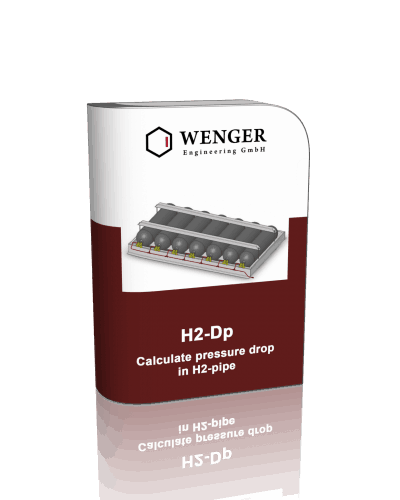 H2-Dp calculates the pressure drop in high pressure hydrogen pipes, e.g. 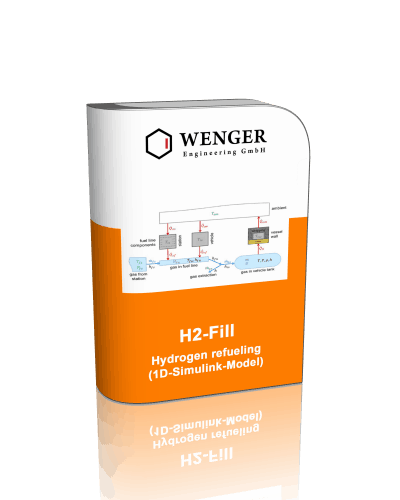 of fuel cell vehicles. 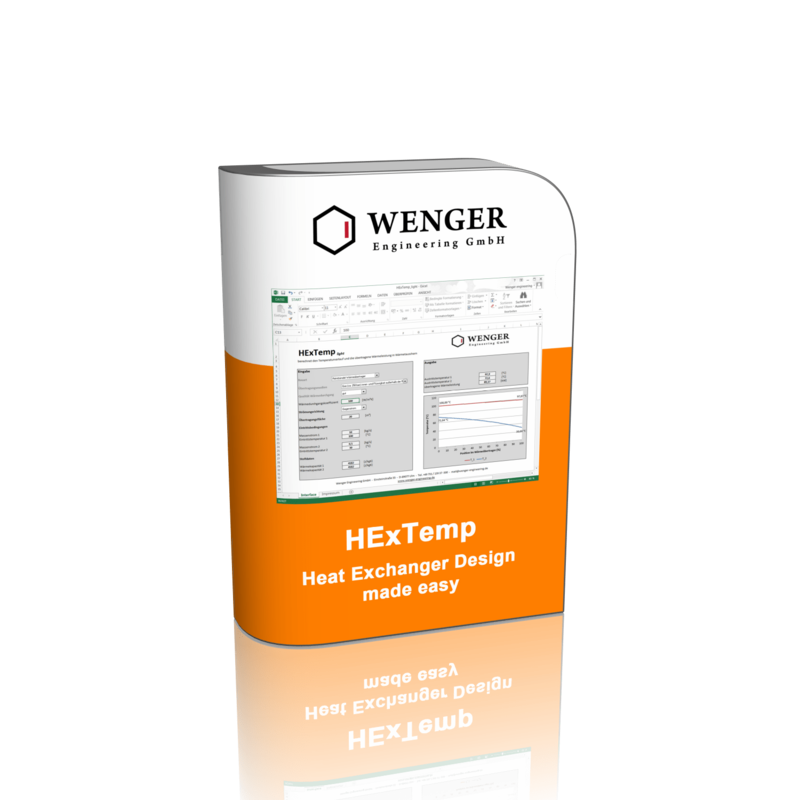 Thank you very much for the great free heat exchanger software in Excel. 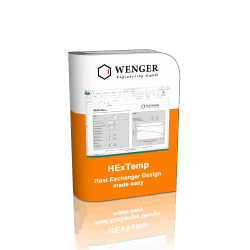 We were able to recalculate a heat exchanger of our supplier. 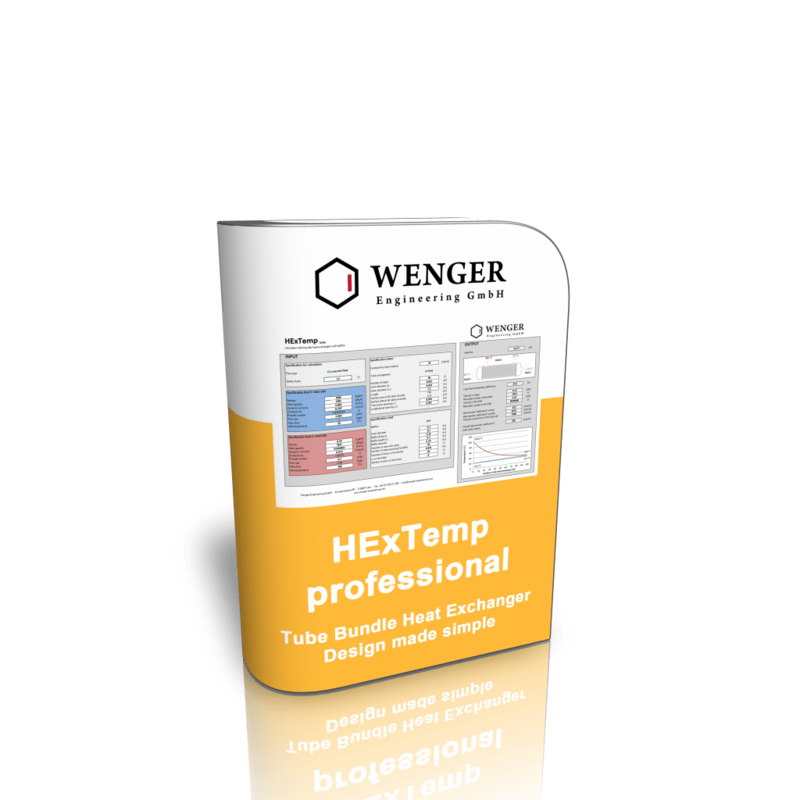 That was very helpful and easy and saved us a lot of money.